Apr 11, 2019 — by Daniel Whiteman D.M.D. Gum disease is the leading cause of tooth loss in the United States. It is important to diagnose and treat this condition as early as possible to prevent more complex oral health issues from developing. 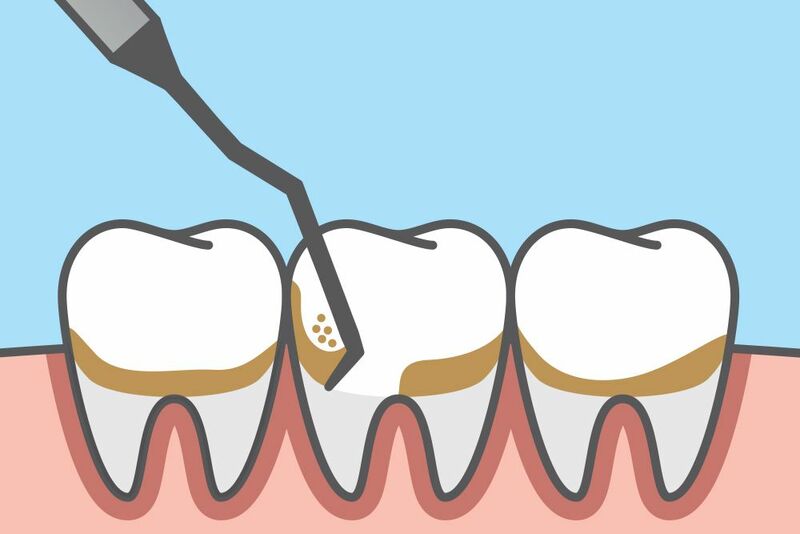 Scaling and root planing can treat and prevent the spread of gum disease in its earliest stages. At Whiteman Dental Associates in the Boston, MA area, Dr. Daniel Whiteman offers this non-invasive treatment, along with other periodontal care to improve your oral health. Also referred to as a deep dental cleaning, scaling and root planing is a non-surgical treatment for mild gum disease. This procedure is less invasive, more cost-effective, and has a much shorter recovery period than gum surgery. Unlike a routine dental cleaning, scaling and root planing is performed under local anesthesia so the clinician can clean deep into the gum line without causing discomfort. Gum disease is caused by oral bacteria. When plaque accumulates on the teeth, bacteria begin to populate and feed off of it. If the plaque deposits are not removed, the gum tissue will become red and inflamed. In simple terms, gum disease is the body’s inflammatory response to irritants on the teeth. If you notice any of these warning signs, it is important to have a dental evaluation right away. Treating this condition early can prevent serious issues in the future. To begin, your gums will be numbed with local anesthesia. Next, your doctor or hygienist will use hand scalers and ultrasonic instruments to gently remove the plaque, tartar, and bacteria that have accumulated beneath the gum line. During this process, the surfaces of the teeth roots will also be smoothed. This will help reduce the risk of further contamination. At our practice, Dr. Whiteman also uses a non-surgical laser during scaling and root planing. Our soft tissue diode laser helps eliminate infected tissue and harmful bacteria. In addition, laser dentistry helps reduce post-treatment bleeding and inflammation. If gum disease is detected in its earliest stage, it can be reversed with regular dental cleanings and improved oral hygiene. However, if left untreated, the infection will worsen. Once the disease develops into more advanced periodontitis, bone loss begins, creating deep pockets around the roots of the teeth. Once bone loss occurs, it will not regenerate on its own. Both scaling and root planing and gum surgery are more invasive than a simple dental cleaning. Consequently, treating gum disease early is not only best for your oral health, but can also save you a tremendous amount of money down the road. If you are experiencing red and tender gums, periodontal disease could be the culprit. Find out how scaling and root planing can eliminate bacteria and improve your overall oral health. To learn more, contact us online to schedule a consultation at our practice or call our office at (617) 731-4746.